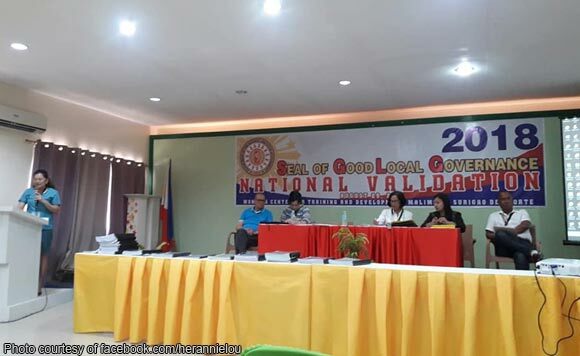 Many local chief executives in Central Luzon must be beaming with pride as the Department of Interior and Local Government bared Monday that 43 local government units in the region passed the 2018 Seal of Good Local Governance. The DILG Central Luzon said in its Facebook page that the provincial governments of Bataan, Bulacan, Nueva Ecija and Tarlac will be conferred with the seal. The recipients among the municipal governments are Aurora’s Baler and Maria Aurora; Bataan’s Bagac, Hermosa, Morong, Orani, Pilar and Samal; Bulacan’s Baliwag, Guiguinto and Plaridel; Nueva Ecija’s Cabiao, Llanera, Penaranda, Rizal, San Leonardo, Santa Rosa, and Talavera; Pampanga’s Bacolor, Floridablanca, Lubao, Macabebe, Mexico, San Simon, Santa Ana, and Sto. Tomas; Tarlac’s Capas, Gerona, Moncada, Paniqui, Pura and Victoria; and, Zambales’ San Antonio and San Felipe. And for the city government category, the following are recognized: Balanga City, Bataan; San Fernando City, Pampanga; Mabalacat City, Pampanga; San Jose City, Nueva Ecija; and, Science City of Munoz, Nueva Ecija. “The awardees have demonstrated exemplary performance with respect to the scaled-up, all-in indicators of the 2018 SGLG,” the DILG Central Luzon said. Tarlac Governor Susan Yap promptly shared the DILG Central Luzon announcement on her Facebook page, albeit absent of any caption.